There is good news for honey lovers out there. The future may see an increase in production of honey which may drive down its prices. All this thanks to 3D printing. The Professors at AUT have developed 3D printed honeycombs using a complex computer software, which has its design created using sound waves. Honeycombs are essential for bees to store their honey.With this technology, the process of making the honeycomb is eliminated allowing higher honey production. The production of honey can potentially increase up to 7 folds. Making the honeycomb natural requires relatively high amounts of energy from bees. For every gram of honeycomb wax the bees create, they would have to consume up to 8 times the amount of honey. With 3D printed honeycombs, bees would just have to release nectar into it and fan off the moisture to produce honey. The intricacy of the technology can produce an almost identical replica of an actual honeycomb through the use of sound waves. "It&apos;s software that analyses the sound of an interior of a beehive, and the software not only analyses the sound [but] it also creates 3D objects at the same time," said designer Gerbrand van Melle. According to Professor Peter Dearden from the University of Otago, 3D printing can specifically dictate the behaviour of bees for optimal results in honey output. “One of the key things about bees is that they have a thing called bee space. They like spaces of particular sizes. It has to be very precise and accurate, so 3D printing seems like a great way to build up those things if you want to put in devices to cause bees to act in a particular way.” he said. 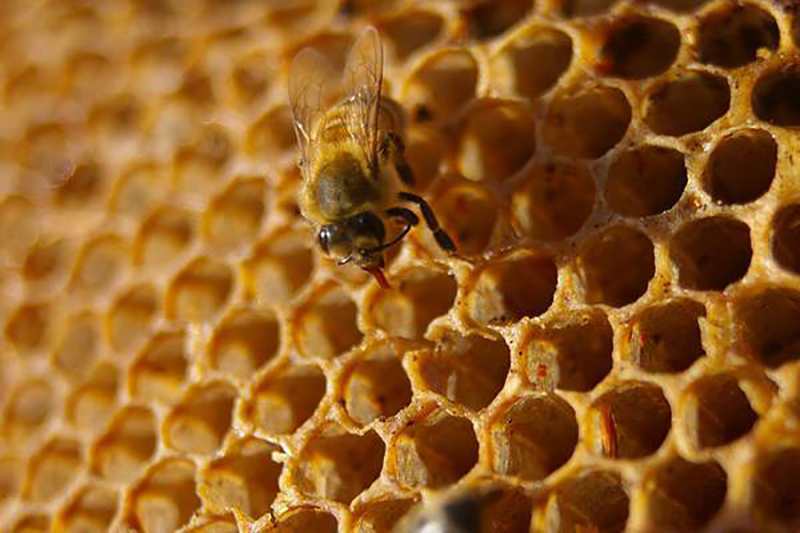 A recent report reveals that New Zealand ranks 5th globally in honey export . Honey consumption worldwide has been increasing annually. New Zealand is popular for its Manuka honey, a type of honey produced from nectar extracted from Manuka tree. New Zealand produces over 2000 tonnes of Manuka honey to be consumed globally. 3D printing of honeycomb can prove to be a significant breakthrough for New Zealand in both honey output and its export.